One of the greats of postwar American painting in a breathtaking survey. For the most part, however, this very American artist, whose paintings are often suffused with the light and variegated colours of particular landscapes, found kinship with the European modernists. Matisse stands as the artist who most directly got under the skin of his work, and indeed there have been few artists who have engaged as deeply and as intelligently with Matisse’s paintings, and yet managed to create a distinctly American panorama, both in his figurative work and, to a point, his later abstract canvases. We see this in Diebenkorn’s use of the open window motif, in the often striking similarities of composition and structure, and in his instinct for uplifting colour harmonies. 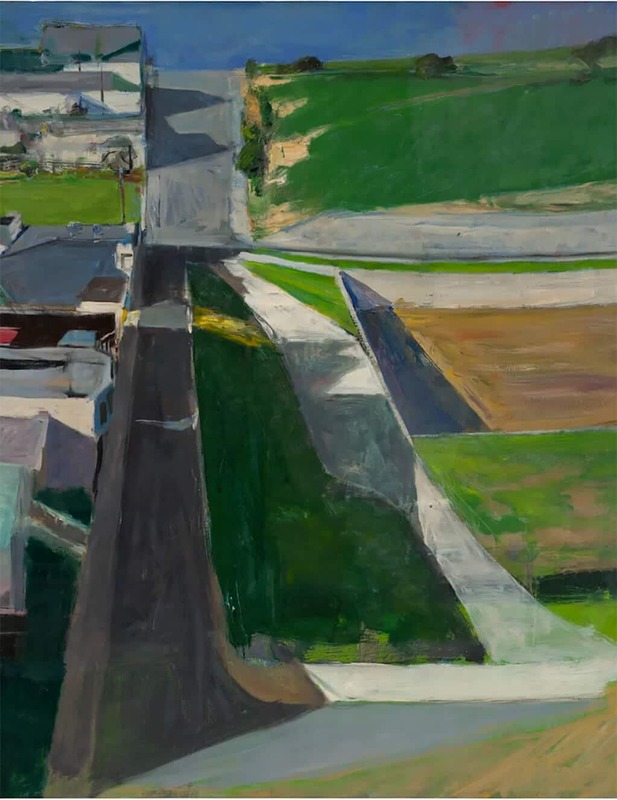 And there’s always that exquisite sense of tension and balance in Diebenkorn’s paintings. The rich ochre palette of his Albuquerque paintings, lifted by coppery reds or pale, minty greens or dusty pinks, are deeply suggestive of the colours of that rocky, mountainous region, though there’s nothing to actually suggest these are landscapes. These are really “all-over” paintings in the manner of the Abstract Expressionists, while the Urbana works have the density and brooding mass of de Kooning paintings, such as we see in Urbana #6, with its blocky, interlocking shapes, but without the older artist’s slippery, frenetic gestures. Meanwhile, the verdant greens and blues of the Berkeley abstracts, with passages of fleshy pinks, dirty yellows and maroons with dark blue underpaintings, are the colours which also dominate in the Berkeley figurative paintings – and you can almost feel the heat of the sun in those. Often you’re reminded of topographical paintings, possibly influenced by Diebenkorn’s wartime military training. Cityscape #3, 1963, is a bird’s eye view of a landscape tilting forward, all blocky, solid geometry – and here you think of Cézanne. Elsewhere are the quiet still-lifes that conjure Manet and pay homage to the well-made object, economical, utterly seductive: a pair of scissors with the blades open; a knife in a glass of water; or a delicate glass containing a simple bouquet being arranged by a pair of disembodied hands. Human figures are as still and solid as the furniture. The final gallery takes us to the monumental Ocean Park series, or rather, five paintings from that series, which, beginning in 1967 and ending in 1988, became the artist’s most sustained body of work, producing at least 145 paintings and 500 related works on paper. These luminous abstract paintings, in colours one might be tempted to describe as pretty, remind me of bits of joinery painted in the pastel colours of a beach hut. One thinks of the sea, the sun, the weathered architecture of those places. 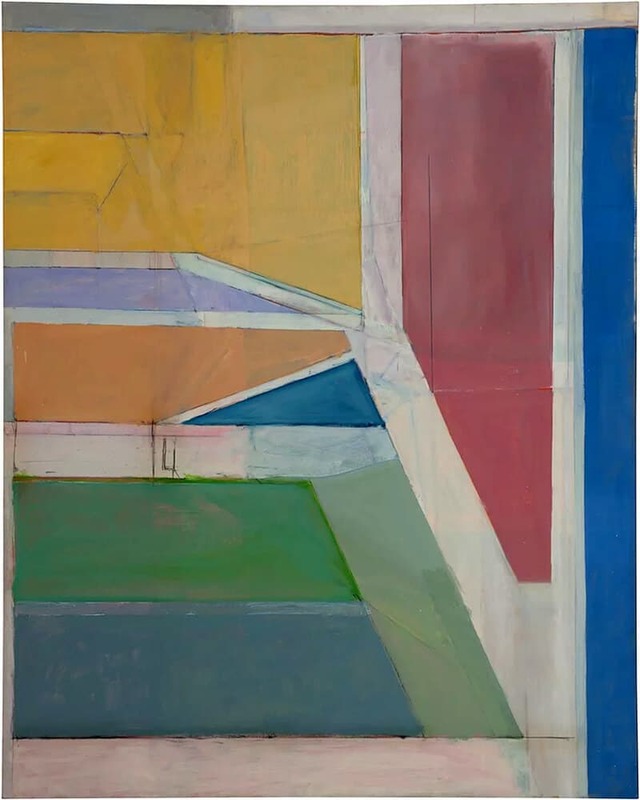 They are glorious, but I don’t think of them as the apotheosis of Diebenkorn’s career, as many have argued they are, for each phase of it produced its own astonishing treasures. 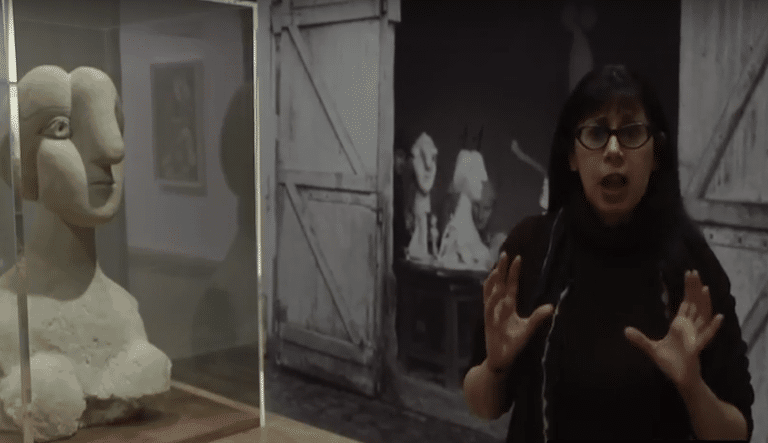 The contemplative quietude of the representational works are just as richly rewarding. Wow, indeed. This review first appeared in The Arts Desk on 16 March, 2015.